Scientists discover seven planets that could harbor life | The Gettysburgian. For practically all of human history, the realm of outer space has captivated our collective imagination, likely because it lies beyond it. The vast sizes and distances that our galaxy – nay, our universe – involves the array of places, objects, and phenomena unlike anything we ourselves have ever laid eyes on. It all tests the limits of our comprehension, and in doing so, it fascinates us all the more. More so than in any other field of science, we simply never know what to expect. But now, researchers have discovered planets that may be similar to our own. Never has the unpredictability of astronomy proved more relevant than earlier this month. On February 22, a team of international researchers reported in Nature that they had discovered not one, not two, but seven Earth-like planets orbiting a nearby star. This star, which lies 40 light-years away in the constellation Aquarius, has been dubbed TRAPPIST – 1, after the Transiting Planets and Planetismals Small Telescope survey that had been studying it. The planets themselves are currently being referred to as TRAPPIST – 1 b, c, d, e, f, g, and h, so labeled based on their distance from the star. These planets were discovered via the phenomenon of “transiting”, hence the name of the TRAPPIST survey. A planet is said to transit when it crosses the face of its star as seen from Earth – an occurrence that is generally quite rare, as it requires a planet’s orbit to align perfectly with our line of sight. Each time a planet transits, it causes a slight disturbance in the amount of light reaching the Earth from its star, with the intensity of the disturbance corresponding to the volumes of the planets. Likewise, the frequency of the transits can be used to determine the planets’ distances from the sun, while the irregularity of transits caused by gravitational interactions between the planets can be used to determine their masses. Via this method, the TRAPPIST team had already discovered three planets as early as September of 2015, yet they suspected more might be present. To confirm this, they enlisted the help of observatories from all over the world. After using the Spritzer Space Telescope to stare at TRAPPIST – 1 for a full twenty days in September and October of 2016, the researchers ultimately confirmed the existence of four additional planets on October 27, 2016. Now, the discovery of such a large group of new planets is exciting in and of itself. Yet the fact that these planets are all “Earth-like” is especially notable, because, until proven otherwise, they all have the potential to support life. 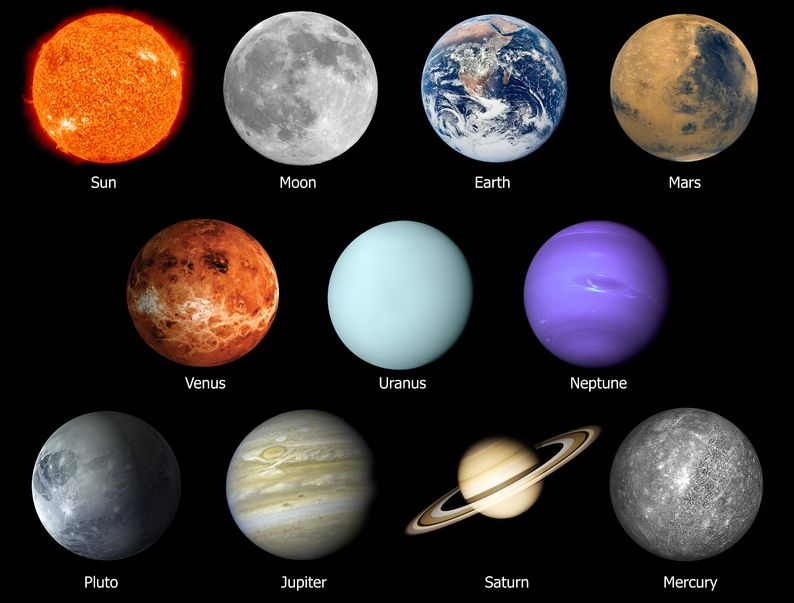 For example, all of the planets are believed to be of rocky composition (unlike our own gas giants Jupiter, Saturn, Uranus, and Neptune), with a solid surface being one of the first requirements to house living organisms. Furthermore, three out of the seven planets lie within the “habitable zone” of their star, the region where the average temperature is neither too hot nor too cold for life to persist. Even the four planets that lie outside this zone could potentially get around this hurdle with the right atmospheric conditions. Interestingly enough, while these planets may share remarkable similarities to Earth, their star could not be more different from ours. TRAPPIST-1 is just barely larger than Jupiter, although it is around 80 times heavier and between 500 million and a few billion years old. It is classified by astronomers as an “ultracool M dwarf” – meaning it is about as small, dim, and cold as a star can possibly be. By contrast, our own sun is classified as a “G dwarf”, making it about 2,000 times heavier and 12.5 times bulkier than TRAPPIST – 1. To make the most of the star’s minimal light and heat, the planets of TRAPPIST – 1 all have extremely close orbits, varying in length between 1.5 and 20 earth-days. Naturally, the question of whether life can be sustained by such a “weak” star is of primary interest to the researchers. Of course, searching for life on a planet 40 light-years away is not an easy feat, and to do so, the researchers would have to rely on somewhat indirect methods. At the moment, their plan is to use either the Hubble Space Telescope or, as of next year, the James Webb Space Telescope to study the rings of light visible around the transiting planets. Since different molecules absorb different frequencies of visible light, the colors of these rings could clue the researchers in as to the composition of the planets’ atmospheres. Of particular interest to the team are water vapor, carbon dioxide, oxygen (and its compound ozone), and methane. The presence of water vapor, of course, could indicate the presence of liquid water or global oceans, a well-known precursor to life. Carbon dioxide – in addition to being a product of biotic respiration – could also be used to determine the planets’ greenhouse effects, and from that, their average temperatures. The presence of oxygen and methane would be particularly telling, especially if they existed together. These two substances are generally unstable when mixed together, so their simultaneous presence would suggest that they are being continually replenished by living organisms. Unfortunately, the researchers anticipate that their quest for life will not reach such a definitive conclusion. Oxygen, in particular, can be produced through a variety of abiotic pathways. In fact, a huge supply of oxygen on one or more of the planets could indicate that they were subject to a certain overheating phenomenon common to M-dwarves, in which the oceans on nearby planets boil to steam, ultraviolet rays break apart the water vapor, and the hydrogen molecules are flung out into space, leaving a crushing atmosphere of pure oxygen behind. The TRAPPIST – 1 planets could have escaped this fate (which usually occurs during the first few billion years of an M-dwarf’s existence) by forming at a safe distance and migrating to their current positions later, but, as migration usually occurs within the first 10-million years of a star’s life, this is considered unlikely. As such, there is a decent chance that the presence of oxygen on a TRAPPIST – 1 planet would signify not the potential for life, but the absolute lack of it. So in the end, despite the many, many unknowns that this situation poses, the scientific community remains optimistic. Maybe the TRAPPIST – 1 planets will offer us a new form of life, or maybe they will simply offer us a once-in-a-lifetime opportunity to better understand our universe. Either way, more exciting discoveries are almost certainly upon us! Emma Gruner '20 is a Money, Science, and Technology writer for The Gettysburgian. She is a Chemistry and Mathematics double major and comes from Glen Rock, Pennsylvania. Emma currently works as a grader for Linear Algebra, and she plays viola in the Gettysburg College Orchestra. Emma enjoys knitting, Harry Potter, and crossword puzzles. She can be found on Facebook.